This 2-hour class is designed for makers getting started with the laser cutter in the Electronic and Technical Arts Studio. 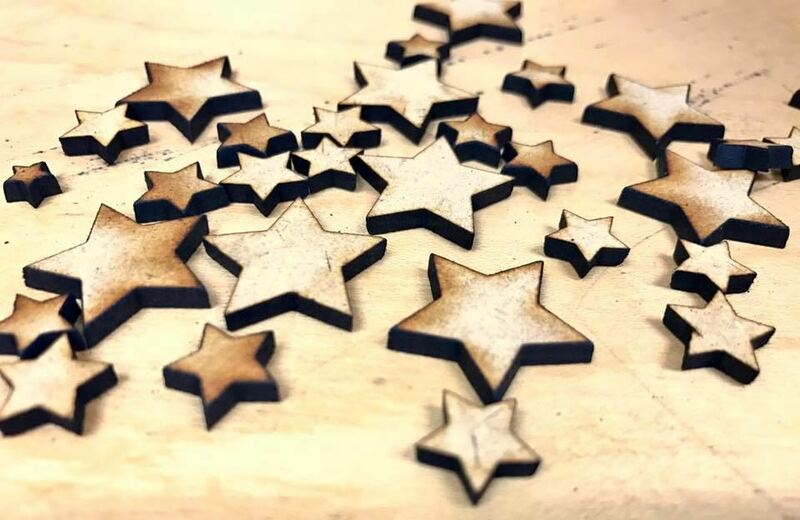 You will learn how to operate BARN's laser cutter safely as you make a small item. The class covers how to prep a design for cutting and engraving on the laser cutter as well as the set-up, settings and operation of the laser cutter. Optional: Bring a laptop with Inkscape installed. It is the free design software we use with the laser cutter. Click here to go to Inkscape.org where you can download it. There are versions for Windows, Mac OS and Linux. This is not strictly necessary, but will help you get the most out of this class. Successful completion of this workshop is the first step toward becoming qualified for independent operation of the laser cutter. It also prepares you for more advanced laser cutting classes.